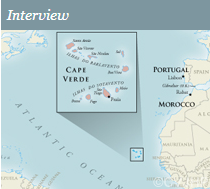 Accomplishments | Cape Verde Jewish Heritage Project, Inc. Restoration and re-dedication of the Penha de França and Ponta do Sol Cemeteries, Ribeira Grande, Santo Antão. The Government of Cape Verde classifies Jewish Heritage sites, including cemeteries and other places of memory, as National Historic Patrimony. Official Resolution and Justification Note. CVJHP signs landmark MOU with the Government of Cape Verde through the Ministry of Culture. For more information, click here. CVJHP signs MOU with National Archives of Cape Verde. American Embassy awards grant to CVJHP to help underwrite work with National Archives of Cape Verde. CVJHP leads delegation of Cape Verdean Jewish descendants to Morocco at invitation of Moroccan government. 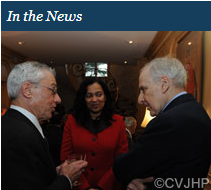 S. Daniel Abraham, Founder, Center for Middle East Peace, becomes major benefactor. World Monuments Fund Provides grants for archival/oral research on Jewish families. CVJHP enters into a contract with historian Ângela Sofia Benoliel Coutinho to conduct archival and oral research on the Jews of Cape Verde to culminate in articles and a book. World Monuments Fund grant to conduct archival/oral research on Sephardic families. Rededication ceremony for the recently restored Jewish burial plot in the capital Praia. For more information, click here. 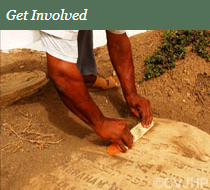 CVJHP is funding and collaborating with local authorities in the restoration of four Jewish burial grounds: one in Praia, the capital; one in Boa Vista and two in Santo Antão. H.M. King Mohammed VI of Morocco becomes major benefactor of CVJHP. Successful Fundraising Dinner at Portuguese Ambassador’s Residence honoring Congressman Barney Frank, D, Massachusetts for his commitment to the Project and Portuguese and Cape Verdean Communities in his District. MOU’s signed between CVJHP and three Municipalities where cemetaries are located. Kickoff Reception at residence of H.E. Aziz Mekouar, ambassador of Morocco to U.S.
Letter endorsing project from Cape Verdean Prime Minister, Jose Maria Neves. Cape Verde Jewish Heritage Project, Inc. receives tax-exempt status. Two Insider Embassy Nights at the Cape Verde Embassy in Washington for the DC Jewish Community Center when Project was highlighted. For more information, click here. Interviews with more than a dozen descendants of Jews of Cape Verde in Lisbon. Documentation of memory continues and will culminate in a book by Carol Castiel based on archives and oral histories of descendants. Radio program for the Voice of America on the Jews of Cape Verde. Click here for more. Initial restoration of the Penha Da Franca Cemetary, Santo Antao. 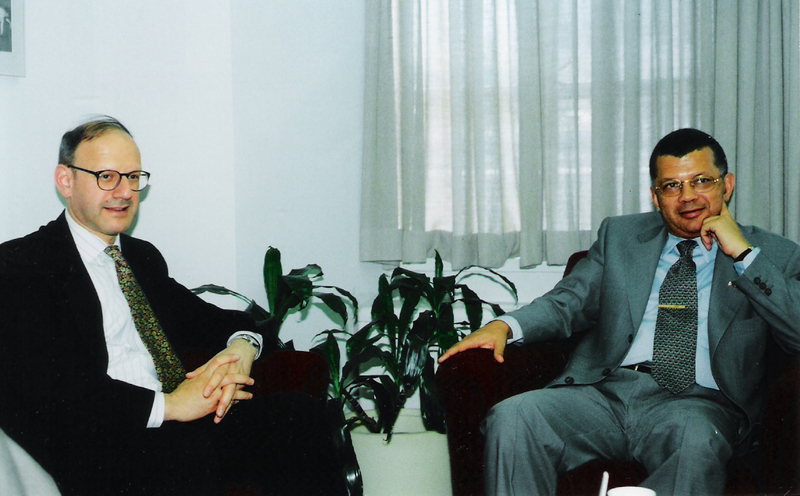 Meeting between Carlos Alberto Wahnon de Carvalho Veiga, then Prime Minister of Cape Verde, and Vice President of B’nai B’rith International, Daniel Mariaschin. Click here for more. Formation of grass-roots group of Jewish Cape Verdeans in Lisbon, Portugal under the direction of Pedro Benros. Visits of Carol Castiel to H.E. Andre Azoulay, Advisor to the King of Morocco, and the Jewish Community of Casablanca to establish Moroccan linkages for the Project.